I will let you into a little secret that has recently changed my life, and my hair. 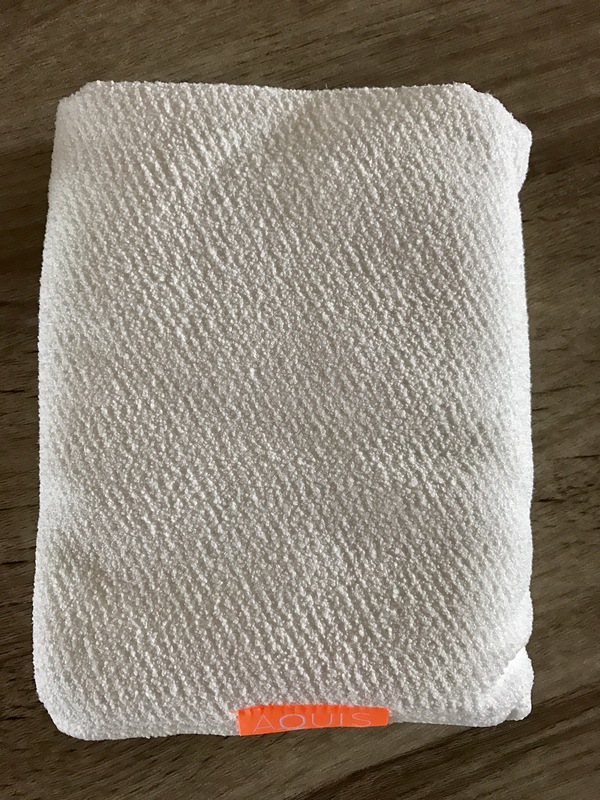 It’s so amazing how such a basic product like a little lightweight hair towel can be such a game changer in your beauty regime. You might have seen these on social media as bloggers and beauty editors have gone crazy over them. 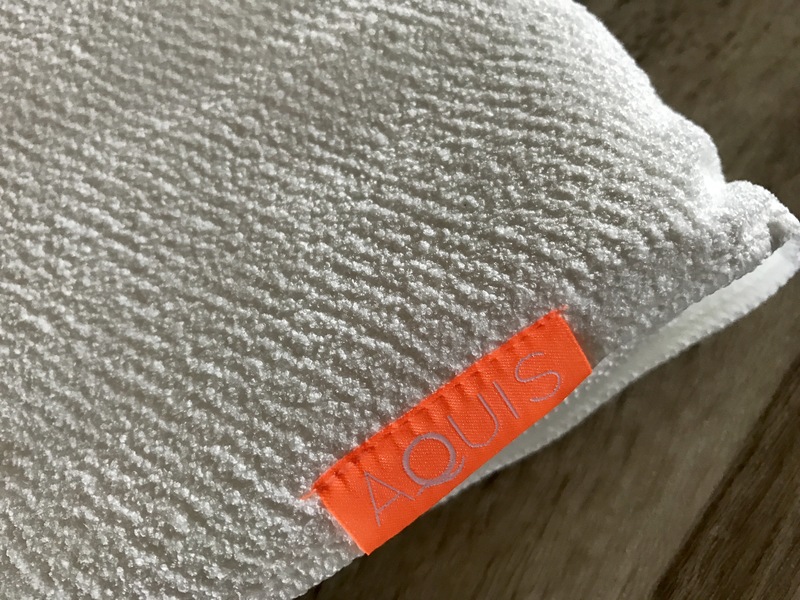 Developed in South Korea, the Aquitex hair towel is made from a super absorbent AQUITEX® fabric which gently wraps around your hair avoiding the friction that your regular towel makes. When the hair is wet, it’s delicate, stretchy and more prone to being damaged when weighed down and twisted with a towel. 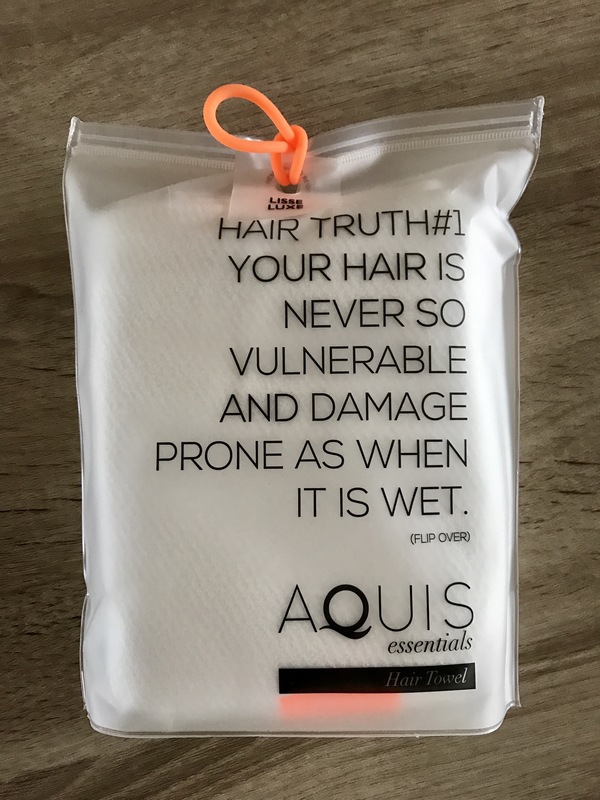 The Aquitex towel minimises this strain on the hair because its really light and wicks water away from the hair enabling it to dry faster naturally, leaving it frizz free and less damaged. Not only that, it cuts drying time so there’s less time your hair spends with a hairdryer minimising heat damage and cuts your carbon footprint. What’s not to love about this amazing towel?! I have been using my Aquitex for about 3 weeks now and and I have noticed such a huge difference to the condition of my hair. I only leave my towel on for around 5 minutes but the longer you leave it the better, and if you leave it for 15-20 minutes, your hair is nearly completely dry. Amazing right? For me, 5 minutes for my super long hair has cut my drying time in half. It feels softer, lighter, and less frizzy. 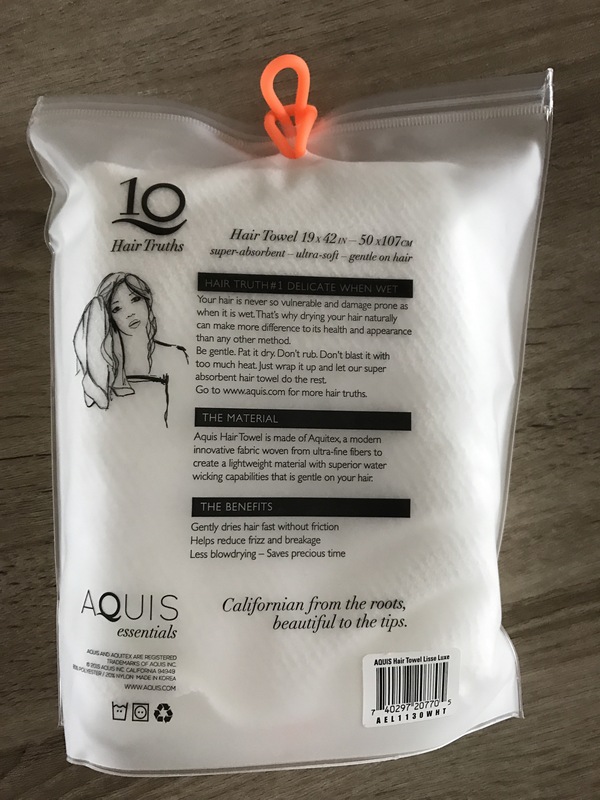 Its also so easy to use as it really does wrap around your hair and tucks into the back so you can easily walk around, make a cup of tea or do your makeup. 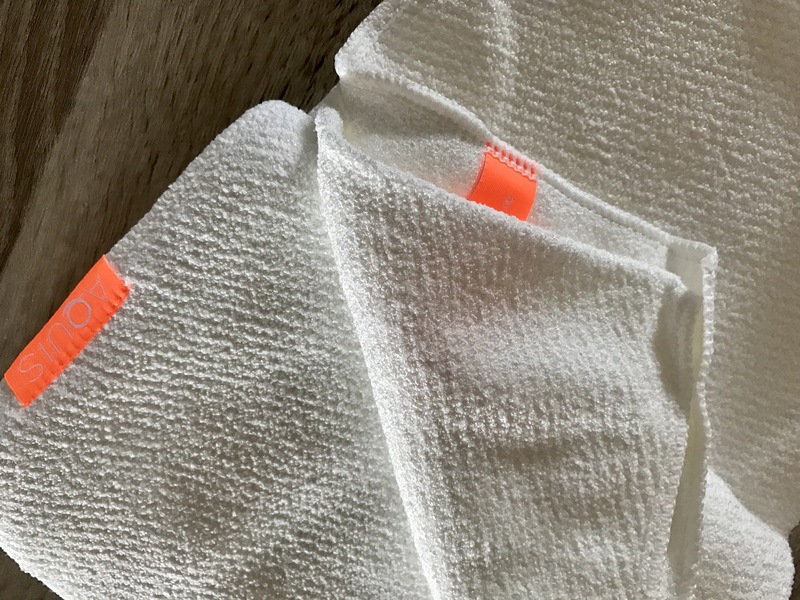 The only negative feedback I have on this towel is that combing my hair is a little more difficult than usual because it’s a lot dryer than usual so the knots are harder to remove. My hair is coloured so when I wash it, its so tangled its an absolute nightmare to smooth out. I have to apply more of my untangling products before tackling with my tangle Teezer. However, this won’t stop me from using it as my hair colourist told me my hair was in excellent condition. I definitely know its due to my Aquis towel. I highly recommend everyone gets one of these amazing towels. Just like the Tangle Teezer and beauty blender, this product will really change your beauty life. A hair turban, headband are also available, and also an extra long towel for all you mermaids out there. It comes in a little resealable compact and cute bag to you take it away on trips and to the gym too.